Active Advent Part 1, or "Who's idea was it to swim across the icy cold Limmat?" - Time for a nice cup of tea? 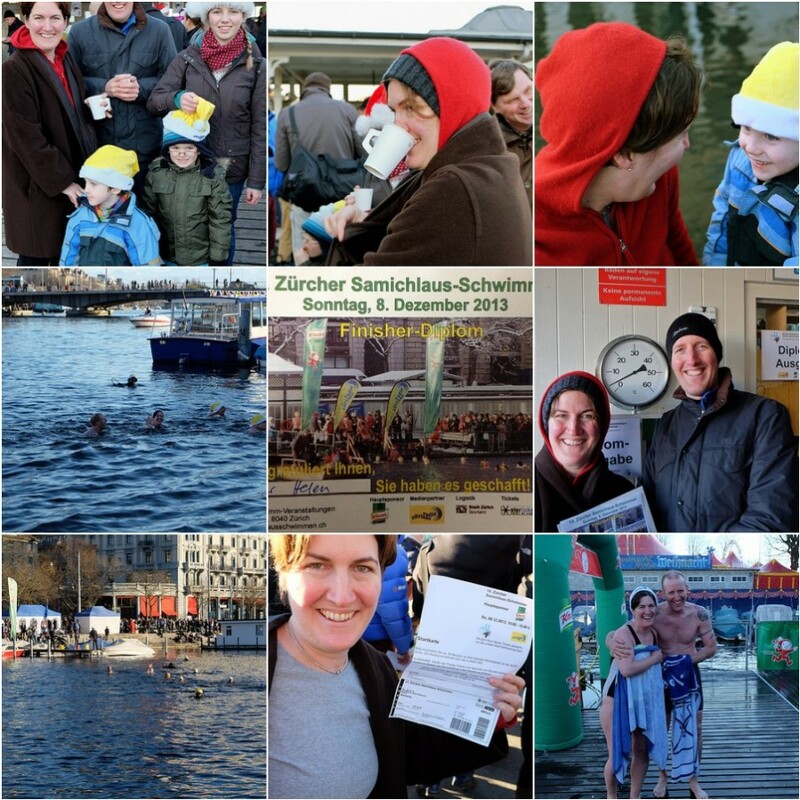 Active Advent Part 1, or "Who's idea was it to swim across the icy cold Limmat?" The only way to celebrate the start of advent is with an icy cold, 90m quick swim across the Limmat river, along with 399 mad fools. This year I even persuaded my brother to do it with me. He thought it was a good idea, until he was actually on the pier about to jump in! I've swum in 2004, 2005, 2006 but missed the last couple of years because of inconveniences like being pregnant, or having newborns etc! It was a gorgeous day and we had a support team of Jill, Fiona and Zoe to look after the boys, plus Karen the photographer and her Alan, the mulled wine provider! It was a lovely afternoon and we all came back here afterwards for more mulled wine and mincepies!